Don’t worry, Laura Ingraham; the advertisers on your Fox News show might be having second thoughts about sponsoring you, but Piers Morgan is in your corner. British media personality Morgan came to Ingraham’s defense on Monday, saying that there was an “absurd over-reaction” to her tweet about Parkland school shooting survivor and gun control advocate David Hogg. “The Ingraham Angle” host found herself in hot water last week when she tweeted that Hogg “whines about” his rejection by UCLA and several other colleges to which he had applied. Hogg responded by naming 12 of Ingraham’s top advertisers and suggesting a boycott of them in a tweet (though one that actually misspelled the network host’s name). 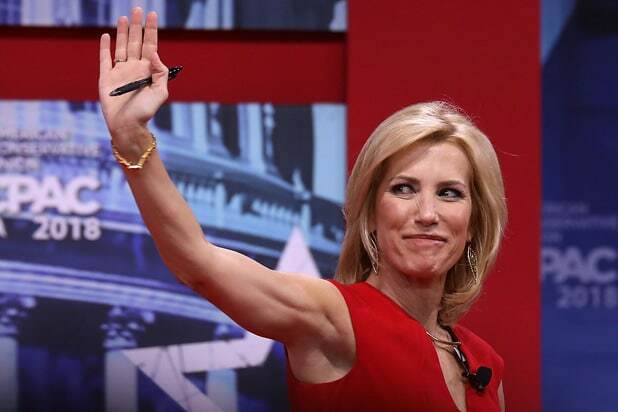 Following Ingraham’s tweet, a number of sponsors, including Liberty Mutual, Office Depot, Miracle-Ear, Jenny Craig, Principal investment group, Honda, Ruby Tuesday and Atlantis resort opted to stop advertising on Ingraham’s show. Ingraham apologized for the tweet, writing, “On reflection, in the spirit of Holy Week, I apologize for any upset or hurt my tweet caused him or any of the brave victims of Parkland. However, on March 31, Ingraham announced that she was taking next week off for what she described as a pre-scheduled Easter vacation with her children. The timing of her announcement had many observers wondering if the Fox News host is trying to get out of the way of the boycott effort led by Hogg.